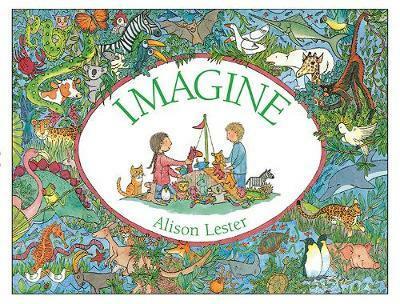 ALISON LESTER: AUSTRALIA’S CHILDREN’S LAUREATE 2012-13 Imagine is an Australian children’s classic. Imagine yourself deep in the jungle, under the sea, in a land of ice and snow, on a farm, in the moonlit bush, on an African plain, in a prehistoric swamp. Then turn the page and find all the animals living there.